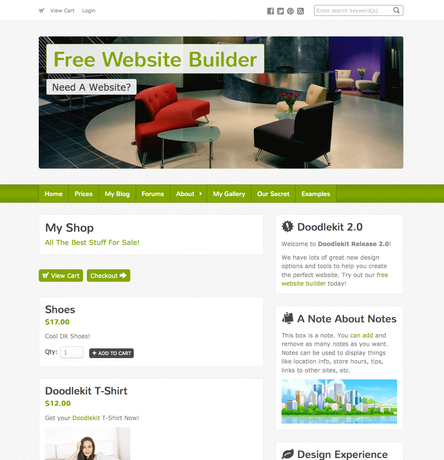 I pushed out a new set of templates recently that I made with our free website maker Doodlekit. I call them the 'Zen Pro' group. These templates are simple and professional but have a relaxed design to them. I used slightly rounded corners on everything including the main title font I picked. They are meant to be generic enough that anyone can use them for just about any type of website. Feel free to post any comment about them here.